In the southern hemisphere: Tropical cyclone (tc) 13p (Linda), located approximately 403 nm west-northwest of Noumea, New Caledonia, is tracking southward at 13 knots. Kazakhstan – Heavy rains and melting snow have converged to cause massive flooding in eastern Kazakhstan. 110 kindergartens, 150 homes, and about 70 other buildings were damaged by high waters in the regional capital, Oskemen, and in the districts of Ayagoz, Glubokoye, Kurshim, Zaisan, and Urzhar. Hundreds of residents have been evacuated from dozens of houses in the town of Ayagoz, but there were no immediate reports of deaths or injuries. Croatia – Following heavy snow melt, the town of Hrvatska Kostajnica, 70 kilometres southeast of Zagreb, has been braced for landslides as well as floods due to the swollen River Una. The city of Karlovac, which lies on four rivers, has also been prepared for flooding and necessary steps have been taken to help local inhabitants to protect their homes in the areas oat risk of flooding due to the melting of snow. Queensland, Australia – Queensland authorities have warned that crocodiles and snakes could turn up in “unexpected areas” after four days of torrential rain broke river banks, covered fields and cut off towns. In the southern hemisphere: Tropical cyclone 12p (Hola), located approximately 288 nm east of Kingston Island, is tracking southward at 18 knots. Queensland, Australia – Water as far as the eye can see: Floods swamped parts of the Australian state of Queensland on Friday, covering pastureland and cutting off towns as swollen rivers inundated about 200 homes. A disaster was declared further east in the coastal canefarming towns of Ingham and Halifax. 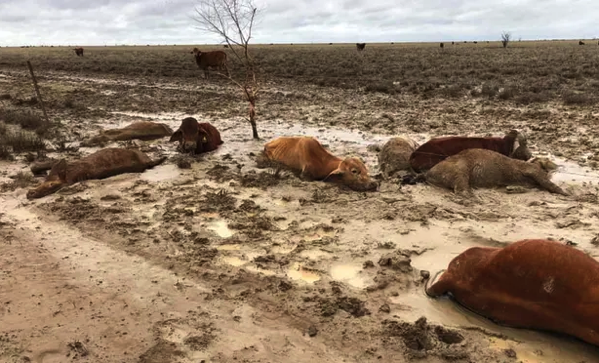 Water could take weeks to recede from the flatter country covered further west, where it has been welcomed in a region gripped by severe drought. In the southern hemisphere: Tropical cyclone 12p (Hola), located approximately 165 nm west-southwest of Port Vila, Vanuatu, is tracking south-southeastward at 04 knots. 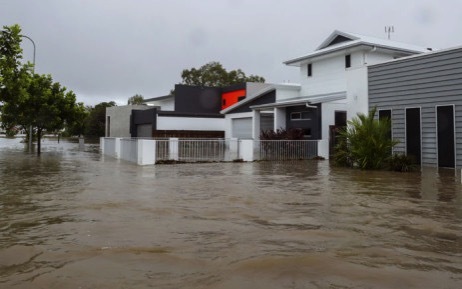 Queensland, Australia – Residents in the north Queensland town of Ingham are bracing for the town’s worst flood in nearly a decade, which is expected to inundate properties and cut off communities for days. Supermarket shelves have been stripped of fresh food, with several roads already closed around the town leaving rural communities stranded. More than 350 millimetres of rain has fallen in the catchment over the past 36 hours and further heavy downpours are expected. Arkansas, USA – A small town in Lonoke County is devastated after a levee broke, causing over 100 homes to become flooded. The state has declared the situation in Humnoke a disaster. Heavy rain last week caused the levee just east of town to breech. Albania – Albanian authorities say that heavy rain has caused flooding in more parts of country, with landslides damaging many roads. The defense ministry said Thursday that about 2,800 hectares (6,900 acres) of agricultural land and grasslands in the north-west have now been flooded. The heavy rain has obliged three hydropower stations in the north to release excess water after many rivers, including the main Drini River, swelled. Power is lacking in some rural areas, and some houses and many roads in the east and south of the country have been damaged from landslides. 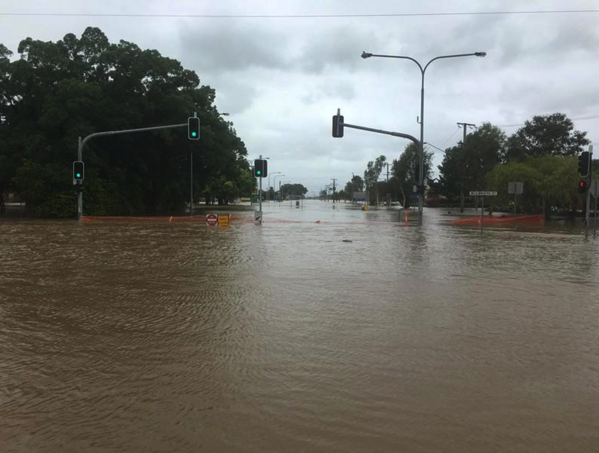 Australia – Parts of north Queensland remain on alert for flooding after a day of heavy rain across Townsville and surrounding areas. Rain is finally starting to ease after falls of more than 350mm in some areas caused flash flooding. 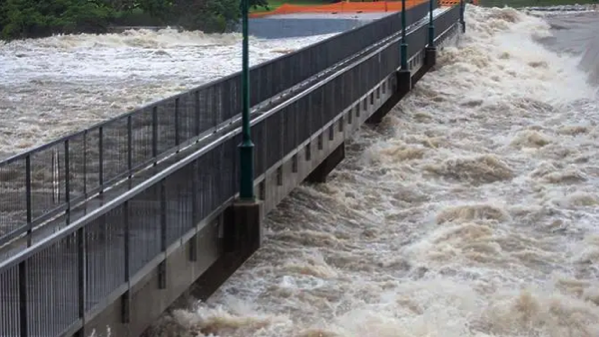 Residents in the township of Giru, south-east of Townsville, are being urged to remain safe as the Haughton River remains at a record flood level. Nearly 90 rain gauges in the Townsville area have recorded more than 100 millimetres of rainfall in the past 24 hours, with Bluewater on the city’s northern outskirts receiving 358mm. 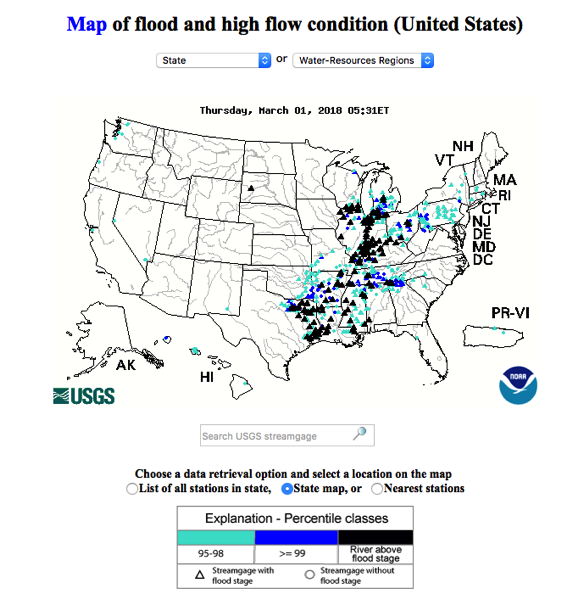 Midwest USA – High water and flood conditions continue across many areas as indicated by the USGS. Tropical storm 25w (Lan), located approximately 187 nm northwest of Kayangel, is tracking south-southeastward at 03 knots. Ireland – Three people were killed as ex-hurricane Ophelia battered the country and people have been warned to remain cautious in the aftermath of the severe winds. Fallen trees blocking roads and downed power lines are some of the likely hazards on Tuesday as the country begins to return to normal following a day when the island went into lockdown. Violent winds, which peaked at 119mph (191kph), caused widespread damage to electricity networks, uprooting trees and damaging properties. Thailand – Five people have been killed following the runoff and river overflows in nine Central provinces that affected 140,000 people over the past three days, authorities said yesterday. Heavy rain from Oct 10-13, a result of a depression and discharge from the Chao Phraya Dam, triggered runoff and overflows in Lop Buri, Kamphaeng Phet, Sing Buri, Ang Thong, Ayutthaya, Nakhon Sawan, Chai Nat, Tak and Phichit.At least 51,669 households in 32 districts were affected. Queensland, Australia – Six people were reported missing after their fishing trawler capsized in bad weather off the central Queensland coast on Monday evening. One of their crewmates survived for 12 hours in heavy seas before raising the alarm. Torrential rain in the state also led to the death of a man caught in floodwater near Gympie and an incident in Brisbane in which a jogger was flung into a creek after being hit by a car that skidded off the road. 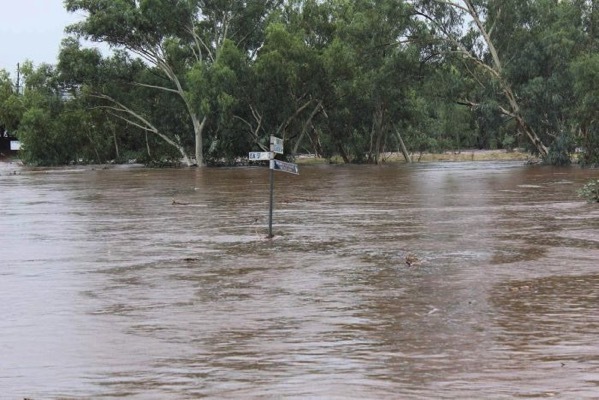 Queensland, Australia – Torrential overnight rain has caused extensive flash flooding across Mount Isa and surrounding areas in the state’s north-west. Many local roads had gone under as well as all of the city’s small bridges. The highest fall was recorded at the Mt Isa mine, where 97.6 millimetres fell in the 24 hours to 9:00am. California, USA – Flash flood warnings and advisories were issued for parts of the North Bay Thursday as a potent storm front slammed into the San Francisco Bay Area, bringing with it heavy rains and strong winds. The heavy precipitation from the storm system prompted numerous warnings over the course of the day. Authorities are scrambling to contain an outbreak of white spot disease in Queensland as prawn farmers and fishermen face devastating losses in the pre-Christmas period. Wild prawns taken from the Logan river, south of Brisbane, have tested positive, as have prawns at three of the eight land-based farms in the region. The virus, which can stop prawns and crabs from growing but poses no risk to humans, was not previously known to be in Australia, and has sparked a ban on prawn and crab fishing in the river while eradication efforts continue. The Queensland government has ruled out compensation for land-based prawn farmers and commercial fisherman hit by the closure of the river’s prawn and crab fisheries.